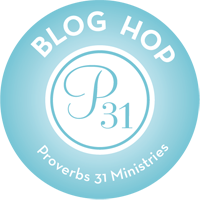 If you have been following my blog lately, you may have noticed a little distance, a little discouragement, maybe even a little wining. Yes, I have been in a little funk. I have let circumstances around me come in between me and God. My circumstances , although a little rough right now, do not give me a reason to pout. The only one who gains anything from that is Satan. It is easy for us (at least me) to believe in God, but it is a lot harder for some to believe in the devil. Some view the devil as some Halloween character, horror movie ideal, or some other make-believe figure, when in fact he is just as real as God. I sometimes struggle to see my battles as spiritual warfare because I am a “realistic” thinker and seem to operate best with things I can physically see. John 10: 10 (NKJ): The thief does not come except to steal, and to kill, and to destroy. I have come that they may have life, and that they may have it more abundantly. Satan is out to steal and kill our faith; he is out to destroy our lives. Satan is real;you best believe it. I get so frustrated with myself when I fall into Satan hands, when I believe Satan’s lies, and act (react) in the flesh, just as he wanted. Yes, we do have personal responsibility for our actions as Satan can’t make us do his work as we are children of God, rather we allow Satan to use us when we go along with his agenda and not God’s. Luke 10:19 (NKJ)- Behold, I give you the authority to trample on serpents and scorpions, and over all the power of the enemy, and nothing shall by any means hurt you. That being said, we must know how to use our power in order to defeat Satan and our own selfishness. Sounds easy enough, right? Yah, on paper it sounds easy, not so much in real life. I don’t know about you, but I am so sick and tired of my own wining and complaining. I’m tired of playing victim when it was me who allowed Satan to use me. So, now, what do I do about it? How do we use our God-given power to defeat Satan? James 4:7-Therefore submit to God. Resist the devil and he will flee from you. Ephesians 6:11- Put on the whole armor of God, that you may be able to stand against the wiles of the devil. I don’t know about you, but the times I am most likely to be the devil’s aide is when I am distant from God; when my relationship with God has been weakened. This happens of course when I fail to read my Bible, write my blog, spend too much time on myself, etc. I know this. You know this. Now, we have to be preemptive and not let ourselves grow distant from Christ. It all goes back to the relationship we have with Christ. If our relationship is strong, we will be strong and be able to resist that darn devil. Why? Because our wants, wishes, and hearts are tied to Christ. We want to do what is right in Lord because we love Him and want to follow His ways. Furthermore, if our relationship with Christ is strong that means we are reading His words, and…..
His words are paramount to our victory in Christ. How did Jesus defeat Satan? He remained faithful and always kept his relationship with his father in the forefront of his mind and he answered Satan’s questions, accusations, and temptations with scripture. Yes, scripture. Scripture memorization has seemed to take a back seat these days as it has become “too religious”, but scripture is what combats Satan’s lies and therefore is vital in spiritual warfare. A strong relationship with God, gives us not only a relationship with the Father and the Son, but also Holy Spirit. For all of you who may not believe much in the terms of Holy Spirit, I encourage you to go deeper. Holy Spirit is also paramount in our victory over Satan. Yes, Virginia, there is a devil, but the good news is that there is a God who is better, stronger, and has given us the power to stomp the devil out. We have nothing to fear as God has given us power over Satan; we just have to act on said power by protecting and maintaining or relationship with Christ.